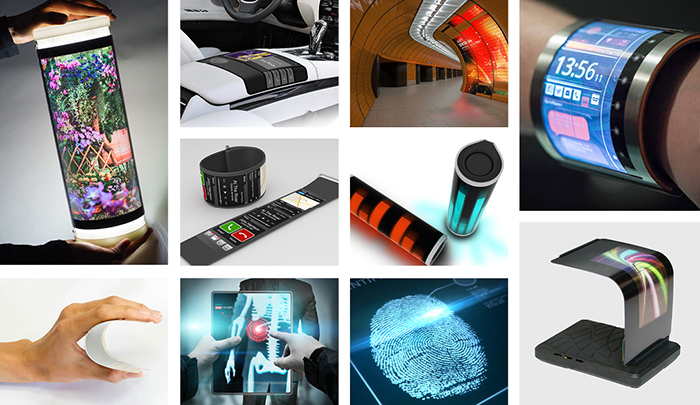 ProductEnableTM allows you to create and source revolutionary product concepts enabled by truly flexible electronics. FlexEnable's team of flexible electronics experts works closely with you to develop your ideas into technically feasible design concepts which can be rapidly prototyped and evaluated. We then support ramp-up to volume manufacturing using our internal manufacturing capabilities or our external fab partners. Establishing a network of external volume manufacturing routes with FabEnable and an expanding set of material solutions with MaterialsEnable.